Seating lists will be made available in the lobby of the ballroom. You will be seated with your team mates and coaches along with any guests you may have. We ask that you make your way to your assigned table as soon as possible after the doors to the ballroom open so that we can get the evening started. 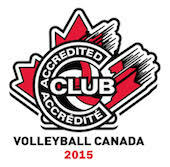 If you have dietary restrictions please email John Nguyen (john@maverickvolleyball.ca) ASAP. Business casual (no cut off jeans, tank tops, muscle shirts etc.). Unfortunately we had to confirm with the venue a week ago and we will be unable to accommodate ticket requests at this time.